Women's hairstyles have been a much-discussed topic since the medieval renaissance. How you wear your hair conveys a lot about your personality, style, self confidence, and often even who you're spending time with, so it is no surprise that everything and anything goes when it comes to hair style--just be sure you understand what message you're sending and what it will take to wear a super short cut. Whether it was Audrey Hepburn, flappers, or Tinkerbell, the pixie cut initially became popular in the 1920s and signified women throwing off the social roles originally dictated for them for a more daring and free wheeling lifestyle. It quickly became a symbol for a bold, daring woman who wasn't afraid to take radical action or eschew societal restraints. In more recent history, very short hair styles have been marginalized, only favored by older women (as, ironically, a more youthful option) or are commonly misconstrued as a call sign for homosexuality. In the past few years, however, Hollywood especially reached its threshold with long, luscious locks, and the hottest stars began revamping and popularizing this bold, ultrafabulous style. Short haircuts generally refer to anything above the chin. This can mean the super popular bob (running the gamut from Victoria Beckham to Suri Cruise) which features a smooth, sculpted shape with volume and a flat line going from the nape of the neck to the chin. It's very sophisticated and very easy to style and care for. From there, layers can be cut into it for more of a graduated bob (a la Renee Witherspoon in Sweet Home Alabama) that creates a lot of fullness around the face and is especially good for thinner hair. Only the most bold and confident women go for the pixie cut, which typically is very short on the sides and can either have uniform shortness on top or a little bit more length. These hairstyles are often considered symbols of sophistication, emancipation, independence and pure, unadulterated confidence. They are bold and unforgiving and the ultimate commitment to hairstyle, as they take months to grow out. Anyone from a businesswoman to a mother to a Dame (like Judi Dench) can wear this look, but only with confidence. Other than the confidence and sophistication, short hair cuts are notoriously easy to maintain. 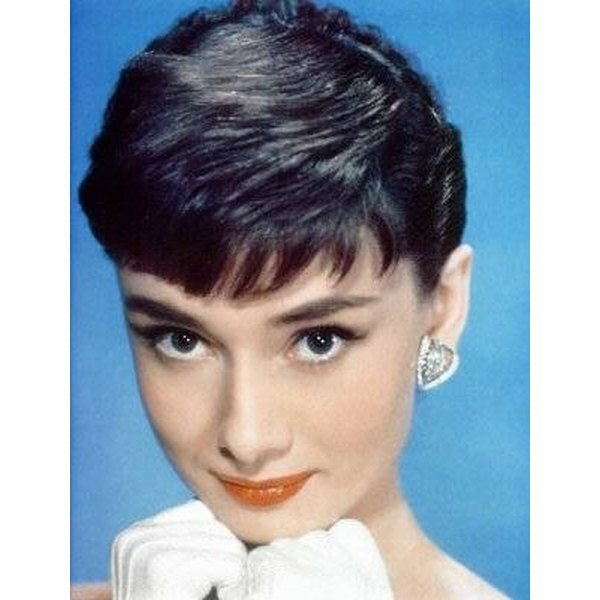 A pixie cut requires little to no maintenance aside from possible a little gel or pomade for reshaping when necessary. A bob or more graduated cut can take a little mousse for volume and smoothness and five minutes with a blow dryer. When considering a short hair cut, bear in mind that it does take a very long time to grow out should you decide that you do not enjoy it as you hoped you might. If you are unsure, start with a "lob" or a long bob (just above shoulder length) and go progressively shorter as your comfort level increases. That being said, there are few things as liberating as chopping all your hair off--and keep in mind that hair over 12" can be donated to Locks of Love (a charity that makes wigs for cancer patients).